Ex-military, having served nearly 10 years in the Royal Navy straight from school. Has a background in supervision, management & training for major brands in the Avionic, Electrical, Domestic Appliance & Catering Industries. 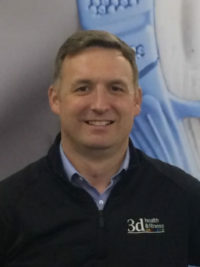 Aaron is well known to the members having worked at 3d Health & Fitness since it opened, after a short sabbatical has returned to 3d as our regular “Friday Night Guy”. 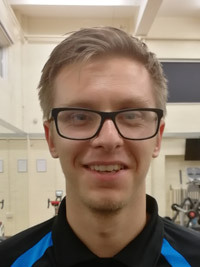 Aaron is another Level 3 Qualified Personal Trainer who is able to offer Personal Training as well as deliver our Friday Beginners Spin and Kettlebells classes amongst others. In his spare time Aaron is an avid Crystal Palace fan who travels the length and breast of the country to follow his beloved Eagles! Brett has recently completed his Personal Training Level 3 Qualification with our Training Partners Lifetime Training and is steadily building his client base. As well as Personal Training & Fitness Instructing, Brett has also recently qualified as a Boxing coach funded as part of his Continuous Professional Development by 3d Leisure. Brett is already an amateur boxer with Weymouth Boxing Club, where he trains two nights of the week and coaches the kids, however, his opponents keep pulling out of fights, must be that menacing Team Photo putting them off! If anyone ever had a name built for the industry, this is your man. Max is a former Wey Valley School Pupil who came to us with a glowing reference from Wey Valley School’s Head of PE. A Shining Star of the PE Department, he represented the school in many sports but excelled on the basketball court. He has played basketball at the highest possible youth level and when away from 3D Health and Fitness he is a professional basketball coach working with local clubs, primary & secondary schools. 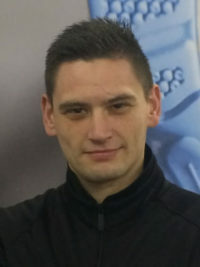 Max’s Specialisation is Strength & Conditioning coaching. He leads private classes in this field for local sports clubs at 3D Health and Fitness. 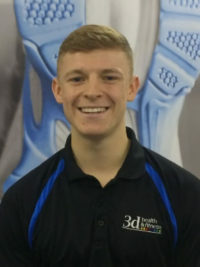 Having already completed his Fitness Instructor qualifications whilst a college in Southampton, we are keen to support Max in his continued professional development in the Fitness Industry. He will shortly be placed on an apprenticeship with 3D Leisure’s training partner Lifetime Training to become a fully qualified Level 3 Personal Trainer. Max delivers a series of classes to condition the whole body over the course of the week and ensure your looking fresh for the weekend! Beginners Rigorous Training on a Monday, Strength & Conditioning Tuesday, Ab Blast on Wednesday, Rest Day Thursday, then get ready for the weekend with Max Pump on Fridays! Kira came to 3d Leisure with a keen interest in starting a career in the Fitness Industry having recent experience in Retail. Initially employed as a part-time receptionist Kira is now enrolled on a Level 2 Fitness Instructor Apprenticeship with our Training Partners Lifetime Training and harbours ambitions to continue towards her Level 3 Personal Trainer Qualification. Kira is well known to our members having been one of our most regular attending members completing several of our group exercise classes a night. Kira combines her part-time roll with 3d Leisure with Lifeguarding at a Local Holiday Park. She is also incredibly hard to beat in a MYZONE Zonematch class!